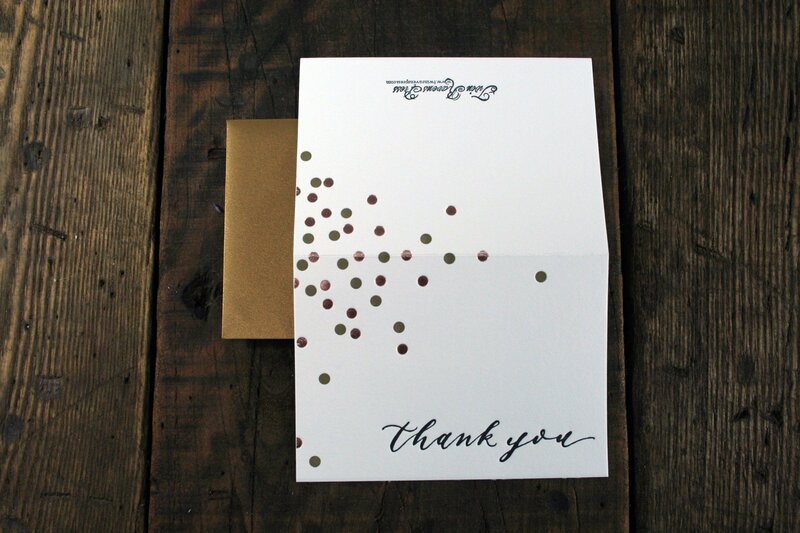 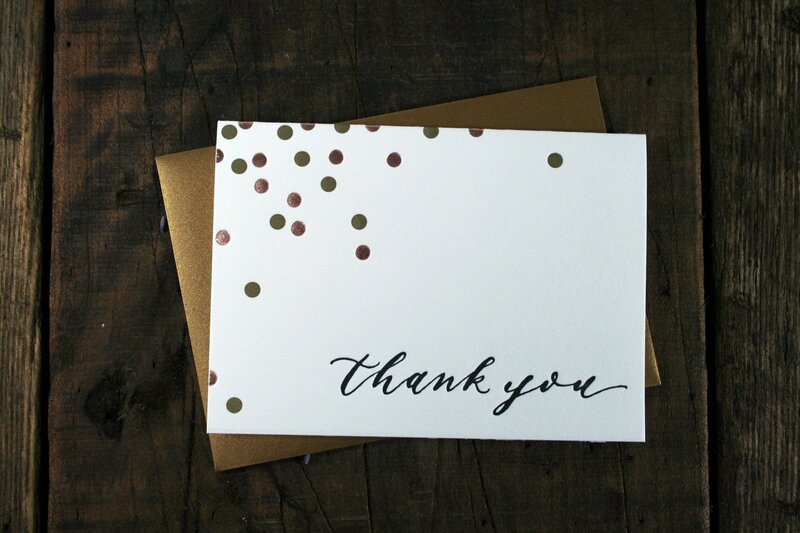 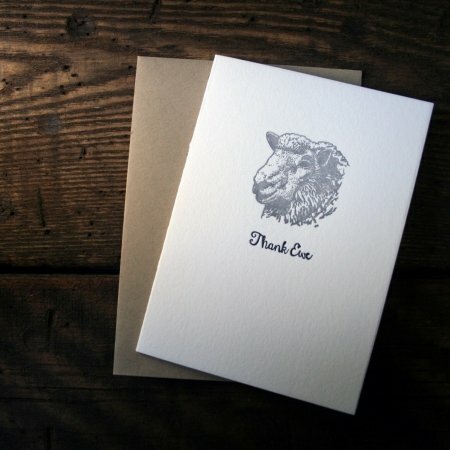 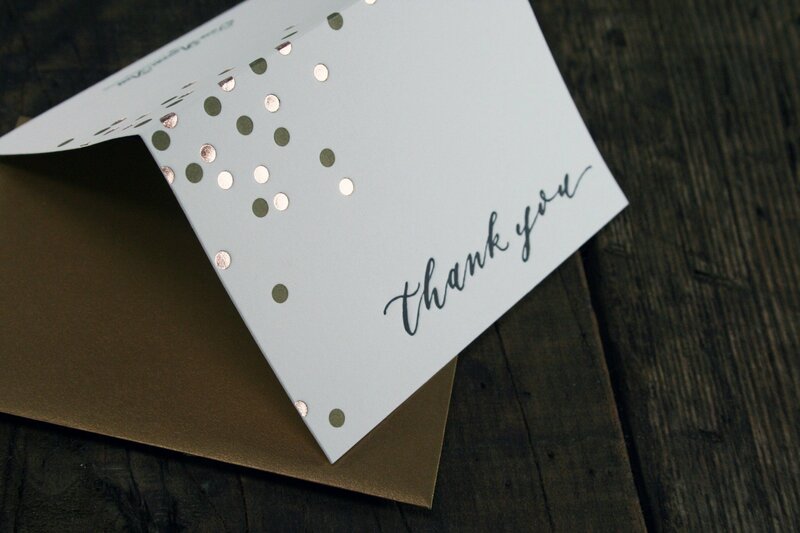 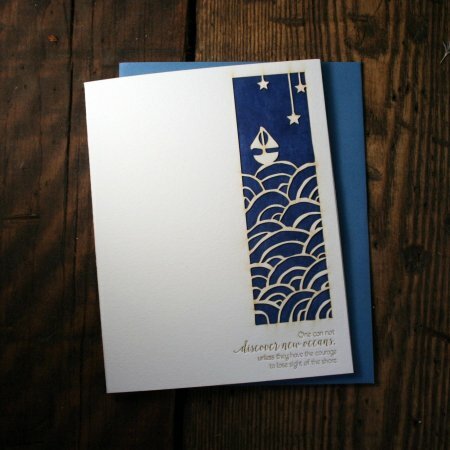 Send your thanks with beautifully letterpress printed and foil stamped thank you cards! 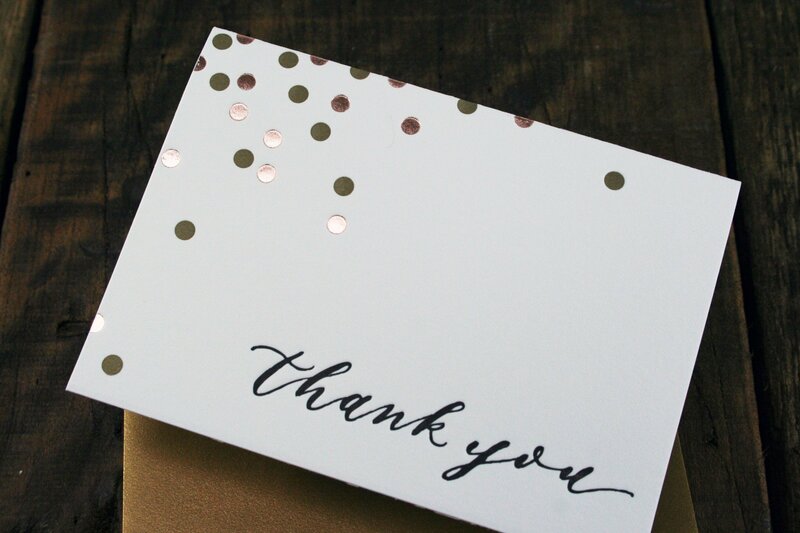 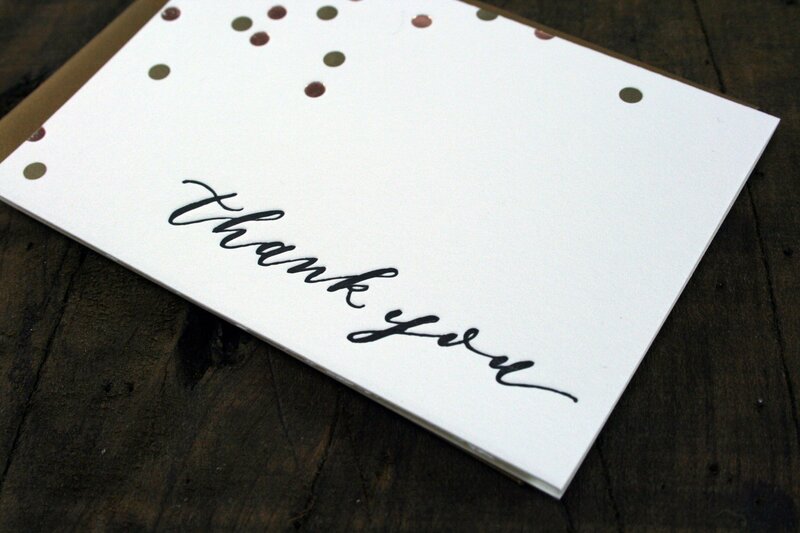 These thank you cards feature a cheerful confetti design sprinkled along the top left edges and onto the back. 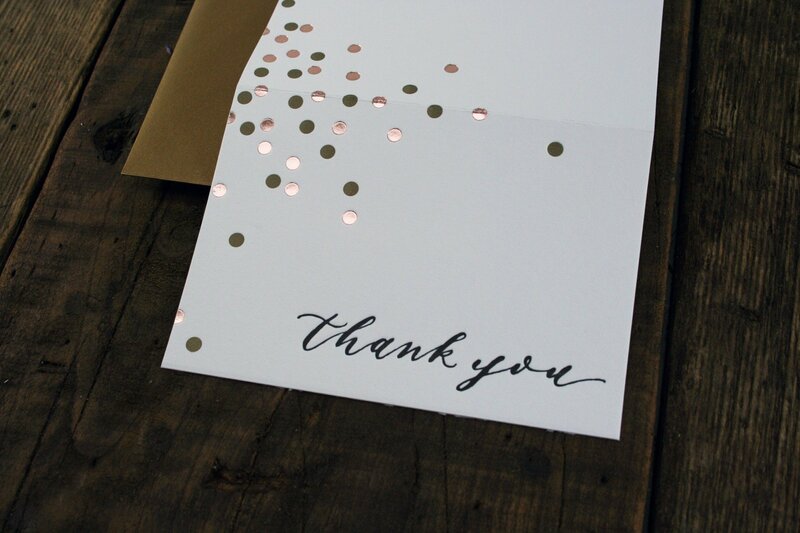 The confetti was printed in 2 colors: shiny rose gold foil and antique gold ink. 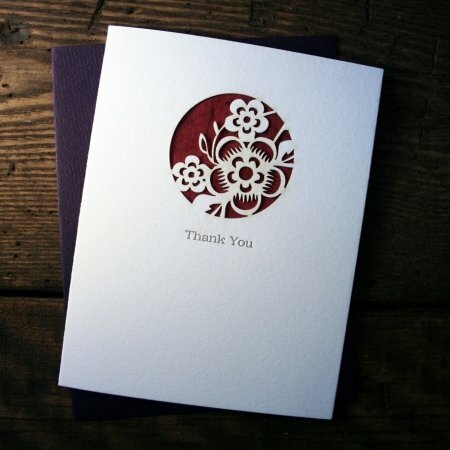 The words “Thank you” are letterpress printed in black ink from calligraphy and each card is blank inside for your own personal message. 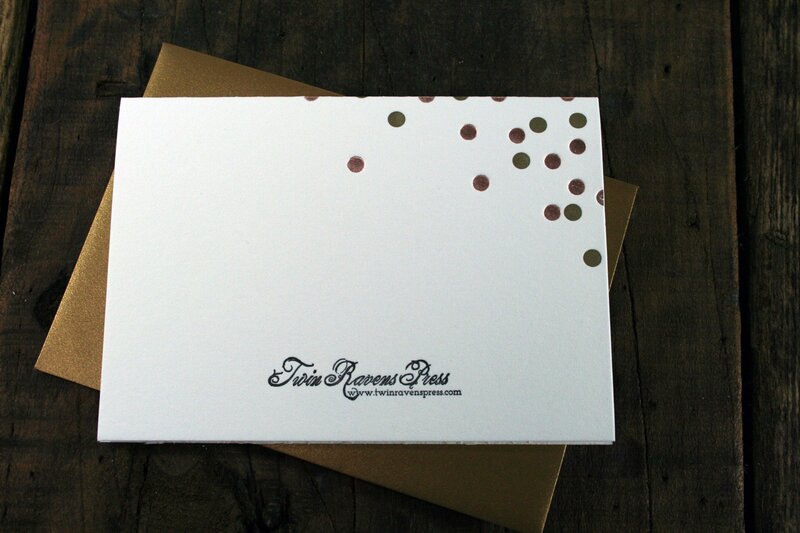 Each card is paired with a matching antique gold envelope!